You can decide to create a miraculous life in an instant, but you must be open and willing to do the work. The difference between those who see the miracles and those who don't, is a change in perception, feeling good and taking action. You can choose to see things differently! The moment after we wake is the best time to tap into positive thoughts and set ourselves up for a great day. Think of sleep as one long meditation... our mind is in neutral when we first wake, so we can tap into a high energy if our first thoughts are positive. Try thinking of three things you're grateful for and focus on continuing that thought process. Just as you need to do reps and be consistent in a gym to see results, you must also practice using your affirmations, intentions and to create your desires you must take action to match. You must also BELIEVE that things will change. They may not change instantly and it will start with small shifts, but changes will happen. Our thoughts, words and feelings have a vibration and literally create our reality. Think of your thoughts as colours and your feelings as a paintbrush... The painting is your reality. It's vital to choose our thoughts and words wisely, to make sure we get the painting, a life we love. You have the power to change your life. But you must change your thought paradigms. Be positive. Change your "I can't" to "how can I...?! To see results with anything we need to believe we will get the results, then commit to a regular practice of actions, before we see the results. We must then continue to believe and practice to maintain the outcome we desire. What do you desire? You get to choose your painting! Psychologies and Hay House ran a competition in January 2016 to find the wisest new voice for 2016. We have now shortlisted our favourite five entrants. We were looking for a fresh and distinctive voice with a relevant message for our current times. If you enjoyed Louise's entry then please vote. Hi! I'm Louise. 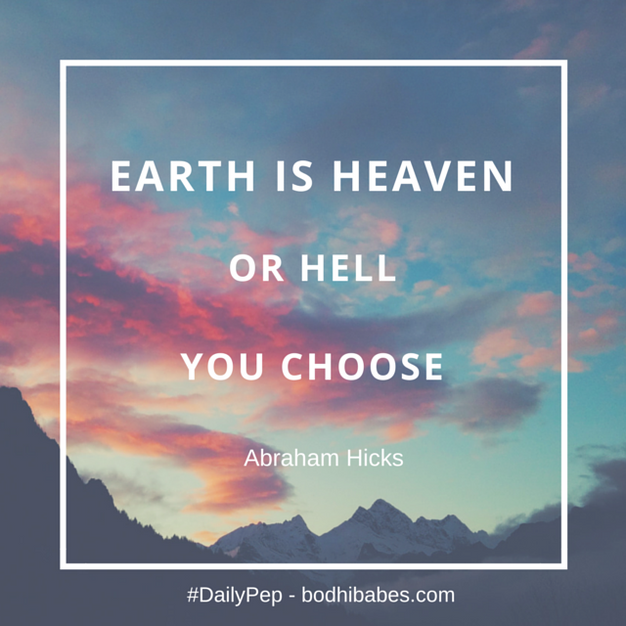 I founded Bodhi Babes to inspire & support women and to help you create and live the life you desire. I've been there! Working jobs that made me miserable, spending all my time building businesses for little reward and feeling confused about what exactly I was doing it all for. It took me years to gain the confidence, clarity and right mindset to create the freedom based business and life I desired and I want to share my tools and practices with you, so you can start living the life you desire now. Feeling Stuck I trained as an actress and presenter always knew that was what I wanted to do but lacked the confidence, clarity and mindset to make it happen when I was younger, I also felt the pressure to get a 'real job' and my self- belief took a knock every time I went up for a casting or role I didn't get. So, I put my dreams to one side and took jobs and began building careers in other industries, first in real estate, then in advertising. I've always been creative and working in a corporate environment didn't suit me. I craved the freedom to work for myself and so decided to start my own businesses, I really had no idea what I was doing at first and learnt as I went along. I had some success with a property management and private PA business and then fitness coaching business, but something was still missing. Gaining Clariy After a series of events that got me questioning my life's purpose, including a dear friend and client passing away and personally suffering from depression, I realised it was time to take control and gain the clarity I needed to create the life I truly desire. So in 2012 I began a serious journey of self-development, working on all areas in my life and business, to regain my self-belief, balance and reconnect with who I am as an individual. Since gaining that clarity and focus, I have been able to create the life I could before only dream of. I am acting and presenting again and have worked on some brilliant films. I discovered that I also love coaching and from working with my fitness clients I found that women were looking for more than fitness coaching and it was actually their self-belief and confidence that needed the most work and many women are searching for the clarity and tools to create the business and life they want. Bodhi Babes Bodhi Babes began because I got clear on what my core desired feelings were and I realised that I have it within ME to achieve more than I had ever allowed myself to imagine before. Bodhi Babes is one of my great passions in life now and if I didn't get that inner clarity it would never have existed. I would also not be running beautiful workshops, 1-1 sessions, or writing this message for you. I am so blessed to have seen the light and the chance to create a life I am so in love with and that feels great. I want you to feel the same... Bodhi (Sanskrit: बोधि; and Pali) in Buddhism is the understanding possessed by a Buddha regarding the nature of things. It is traditionally translated into English with the word enlightenment and literally means awakened.